While the usual gang of young X-Men are on display, as we see Storm, Nightcrawler, and Cyclops all strutting their stuff as well, it’s Sophie Turner’s Jean Grey that’s definitely ruling the show here. And seeing what we’ve got in front of us with this final trailer, her big moments with Michael Fassbender’s Magneto and even James McAvoy’s Professor Xavier look to be some of the most powerful stuff in the series. Just the scene where she confronts Magneto “threatening her” speaks volumes on the potential that this film has to close out this chapter of X-Men history in a strong, satisfying manner. 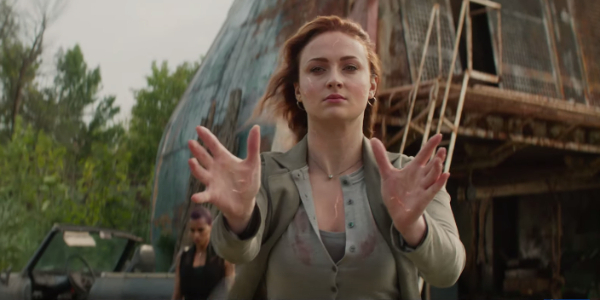 As we previously saw in Dark Phoenix trailers of (future) past, Jean Grey is going through a bit of a crisis. Something so big that the mysterious Jessica Chastain is trying to spur it on, and the rest of the X-Men universe is still trying to decide how to handle. That something is, of course, the revelation of Jean’s Dark Phoenix persona, complete with mind-bending powers that could rend the world apart if not contained.